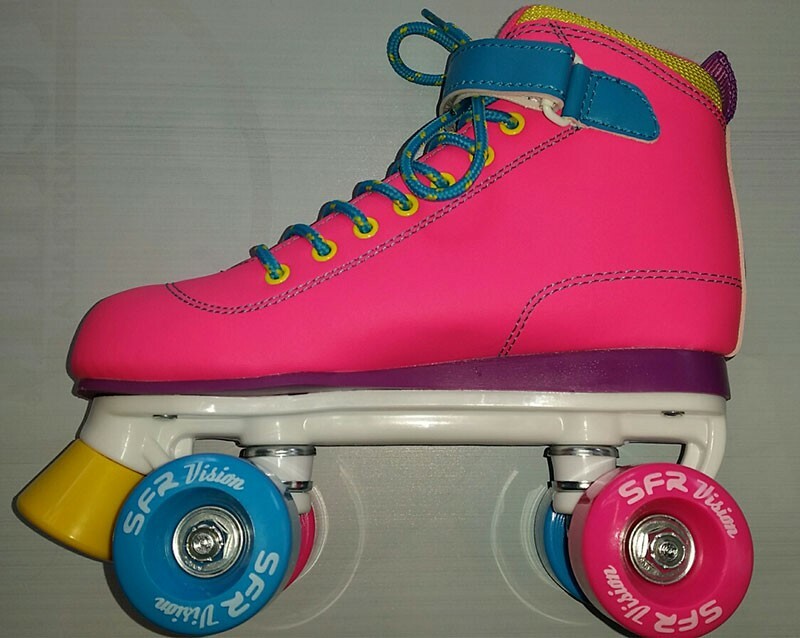 SFR Vision II roller skates Pink - the new Quad Roller Skates in color pink with 4x 53mm x 30mm / 82a wheels and Abec 5 bearings.. 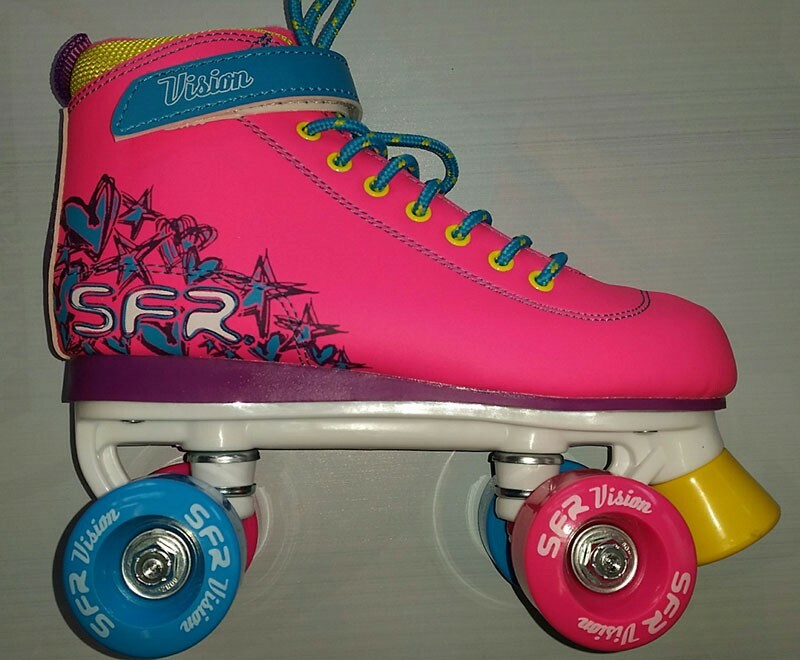 The SFR Quad roller skates in pink are similar to roller skates from the Walt Disney films. The upper shoe is made of a Pu-leather. Laces and a Velcro serve as lacing. The SFR Vision 2 are extra high cut and therefore provide increased lateral stability. Without obligation: This roller skates fall about 1 size smaller.